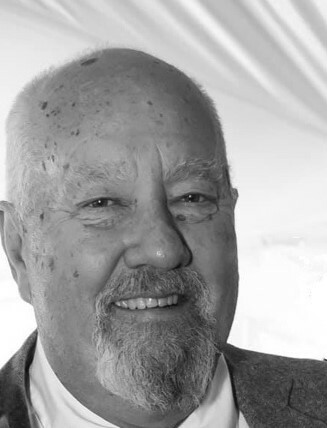 Jerry Wayne Robinson , 68, of Paw Paw, MI, passed away on January 12, 2019, at home. He was born February 17, 1950, in Springfield, VT, son of Robert and Bernice (Baker) Robinson. Jerry graduated from Reseda High School in 1968. He married the love of his life, JoAnn in 1970 and was drafted into the United States Army where he served faithfully from 1970 to 1972. Upon his discharge from the Army, he worked for Deluxe Check Printers in CA. and retired after 30 years of service in 1998. After retirement, he and JoAnn went to Tuscon, AZ. Jerry became the local Handy Man in the area and he just loved helping the people in his community. In November of 2016, they moved to Paw Paw, MI to be closer to family. Surviving are his wife of 48 years, JoAnn May Robinson; Daughters, Jennifer Robinson, Justine (Cory) Delich, and Jamie Robinson; two Grandsons, Jacob Robinson and Connor Delich; Sisters, Dianna Mata, Susan (Jack) Miranda; Brothers, Chris Robinson, Kenneth (Robyn) Robinson, and a host of other loving family and friends. He was preceded in death by his parents. Jerry adored his family, especially his grandsons. His world revolved around them. He loved being involved in Cub Scouts, building LEGOS, watching NASCAR with them, and letting little Connor pull on his beard. Jerry had a passion for fishing and he loved that he could fish any day and any place in Michigan. He also enjoyed watching sports, doing crossword puzzles, and pranking the family, JoAnn in particular. Jerry's vibrant spirit will be missed by all those who were a part of his life. A memorial service will be held at Adams Funeral Home, 502 W. Michigan Ave., on January 19, 2019, at 11:00 am. To sign the online guest book, go to www.adamspawpaw.com.